Our 25th Annual Charity Fashion Show was held on Sunday 1st October 2017 at China Rose Bawtry and we’re thrilled to say that the sell-out event was a huge success. The Robinsons Annual Charity Fashion Show was held for the very first time 25 years ago by the boutique’s original owner, Tony Robinson. Tony created the even in memory of his first wife, who he had lost to cancer, and we have been honoured to continue to hold the fundraising event for the last eight years since taking over the boutique. 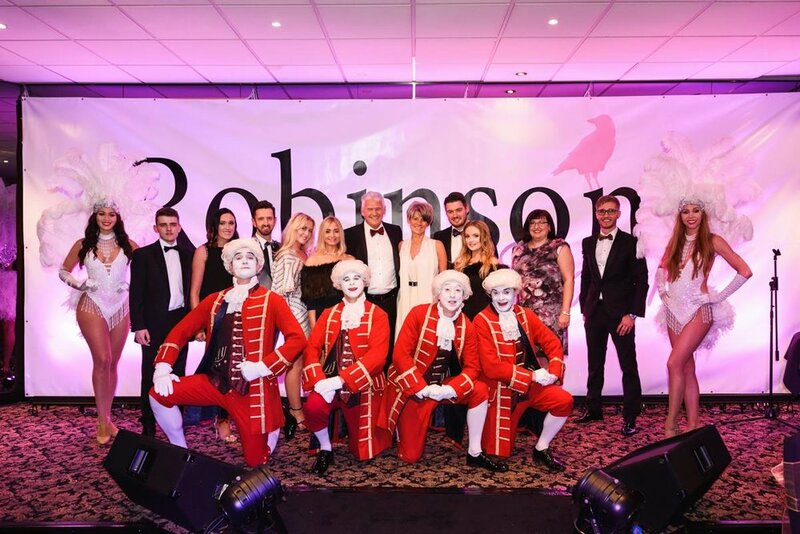 In its 25 years, the Robinsons Annual Charity Fashion Show has raised over £350,000 for Yorkshire Cancer Research, plus tens of thousands of pounds for other local good causes. “There’s a lot to be said for supporting local charities and good causes. An event like our charity fashion show is pivotal in that. Events like ours really do make a difference” said Robinsons owner and the man behind much of the planning, Russell Jones. As the 25th charity fashion show, this year’s was particularly important. The incredible generosity of our fantastic guests was rewarded with a catwalk show of the Autumn/Winter collections, brought to life by models in choreographed scenes created by Doncaster-based Strutz Models & Dance Academy, plus plenty of live entertainment. The fashion show featured designers including Armani, Hugo Boss, Mulberry, Escada, Jacob Cohen, Belstaff, Michael Kors, Versace, Jeffery West and Eton. A champagne draw, auction and raffle added to the fun of the evening, with the hugely-anticipated annual game of ‘Heads and Tails’ seeing the victor celebrate with their Mulberry bag reward. We would like to give our heartfelt thanks to all those involved in making the event happen year after year, as well as our generous customers and friends that continue to support the event with their kind giving. Your support is incredibly appreciated, thank you.